Port Phillip Community Group's mission is to foster an inclusive, socially just Port Phillip. WE focus on the wellbeing of our most disadvantaged residents through poverty, alleviation, health, engagement, advocacy and skills development strategies, while fostering social cohesion for all residents of Port Phillip. Many of Port Phillip Community Group's projects and programs are underfunded to meet he increasing demand as costs of private rental, food, transport and education spiral. Gentrification has made the area less attractive to funders despite the increasing need of a section of our residents. This is an opportunity for local residents to contribute to the marginalised and disadvantaged within their own community building trust and engagement. Funds will be used to directly benefit recipients. No funds will be used for administration or wages. Emergency Relief - Food Voucher Program provides a dignified opportunity for people in financial difficulty to talk to a skilled information and support worker, and receive the financial and other support they need. MSAC Gym is an innovative partnership between Port Phillip Community Group and the Melbourne Sports and Aquatic Centre (MSAC), providing opportunities for isolated residents in rooming houses to use the MSAC facilities to improve their health and wellbeing during off-peak hours at the reduced rate of $2 per session. Funds contributed to this project will enable them to receive an orientation and assessment which is essential for people with special needs. 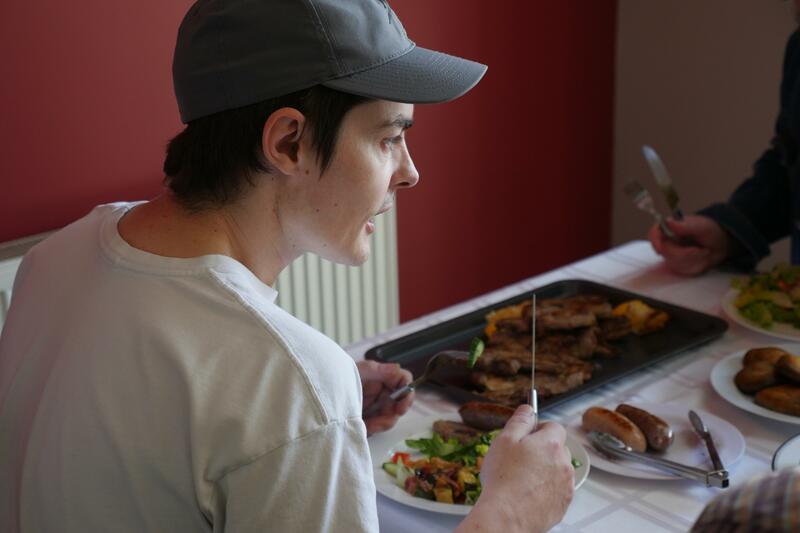 Food and Garden Project provides a nutritious meal and social recreation option for people with disabilities in Special Residential Services (SRS's). This project provides approximately 30 residents of SRS's an alternative to the isolation they face with a change of scene, a chance to catch up with friends and to enjoy a weekly activity.